Will a bookkeeper save me money? 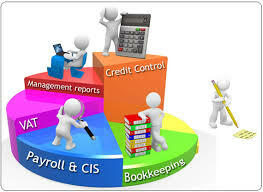 ICB and IAB registered bookkeepers are required by law to hold a practice licence when we offer bookkeeping services. Fellow membership is the highest level for both the Institute of Certified Bookkeepers and the International Association of Bookkeepers. We have also been checked by HMRC to ensure we have not had any criminal convictions in the past, giving you peace of mind when engaging us as your bookkeeper. In addition, we are required to hold Professional Indemnity Insurance, renewed each year with our Practice Licence. Good bookkeepers ensure you have up-to-date information at your fingertips, such as monthly or quarterly profit & loss accounts, cash flow, VAT, PAYE & CIS amounts due, together with debtor & creditor reports.